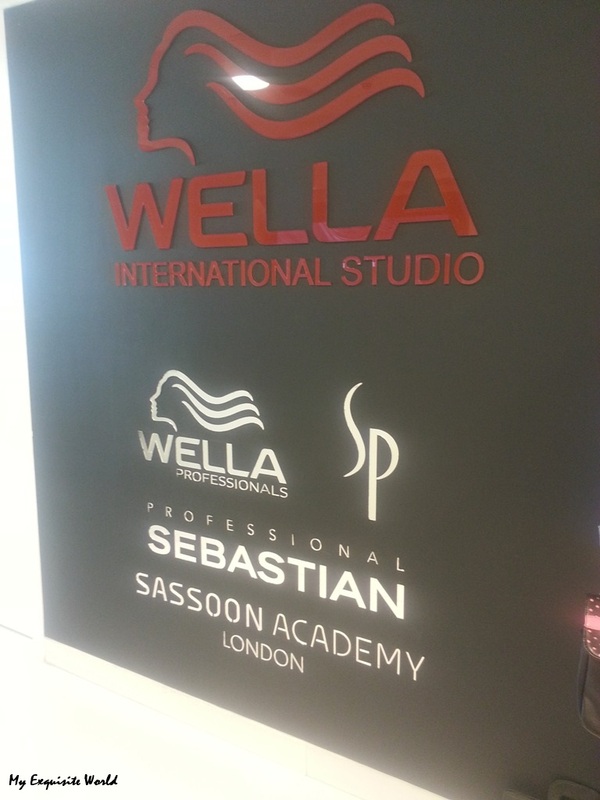 Last week I was invited by the Wella Professionals for the Truth About Color Blogger meet at their Wella Professionals Salon situated at the 5th Floor of the Select City Walk, Saket, New Delhi. It was a fun interactive session where we not only came to know about the truth of the so called “Ammonia Free” selling strategy and how we are harming our hair more by going the amonia free way. Ammonia-free permanent hair color is the latest vogue in hair color industry and consumers have started showing more affinity towards it as they consider it less damaging . A deep seated myth about hair color highlights ‘Ammonia free Hair color as damage-free, because it does not smell so strong’; But the truth is, ammonia-free permanent hair colors replace ammonia with another – similar active ingredient which even though doesn’t smell, can be worse for your hair. Ammonia v/s No Ammonia- The Science: Every permanent hair color needs an active ingredient, called “alkalizer”, so that the hair color can enter the hair cuticles and color it. Ammonia is the most common alkalizer which has been safely used in hair coloring for 50 years. 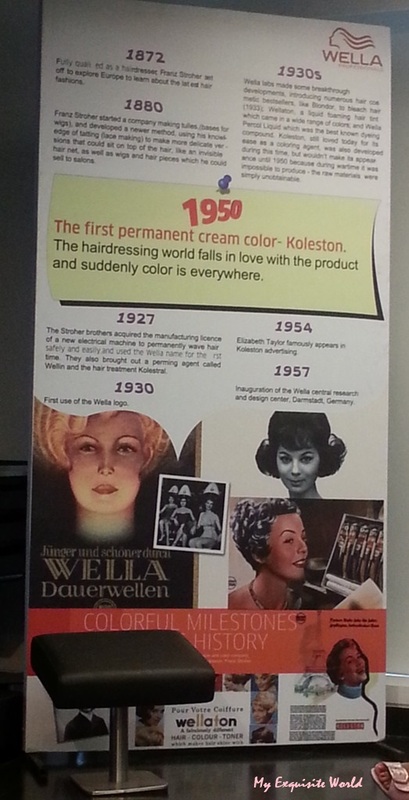 Certain permanent hair colors – sometimes referred to as “no-ammonia” or “ammonia-free” often use another alkalizer called “MEA” instead of using ammonia, MEA is not a new technology. Demi/Semi-permanent colors have been using MEA for more than 20 years in a safe way. 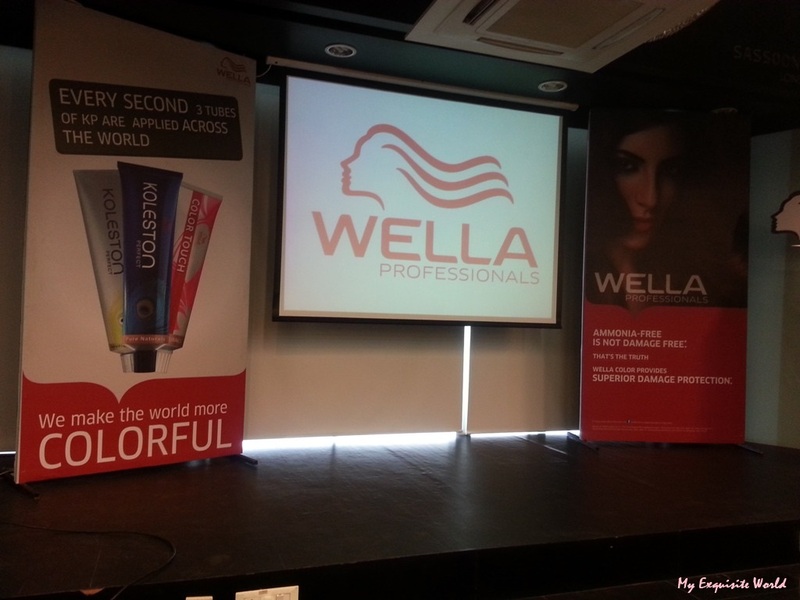 However, some permanent hair color brands, in order to get rid of ammonia & its smell, have also started using MEA. But MEA is used in much higher concentration by these brands as it’s a less effective alkalizer for permanent hair coloring. AND this can be much more damaging for your hair. Advantage of Ammonia over MEA: Ammonia has been safely used in permanent hair and is known to be one of the best technologies in permanent hair s for long lasting performance. It provides excellent grey coverage and pure results without compromising hair vitality. In fact ammonia is a volatile, naturally occurring substance that does its job during coloring and evaporates immediately. That’s why you can smell it so strong and so fast. 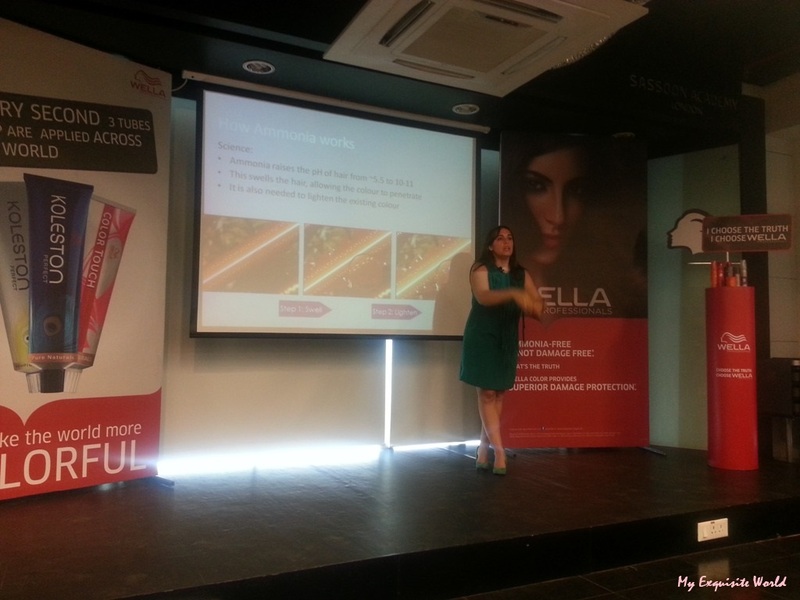 I was a very good session origanised by Wella Professionals to make us aware that “Amonia Free is not Damage Free” . I had a great time specially catching up with Deeptima after a long long time & she is still as cute n bubbly as I remember her to be. 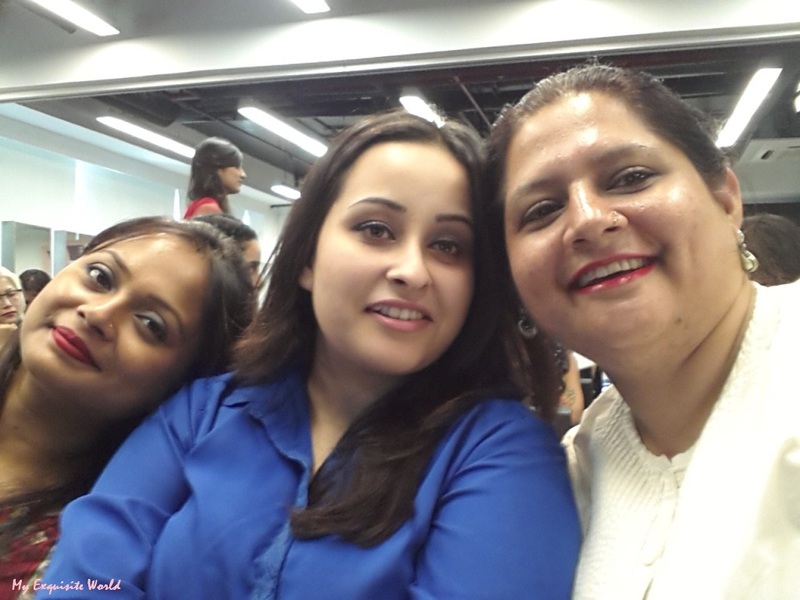 I also met Bharti, Jasvinder & Agnibanya and a few more blogger.